A Funny Thing Happened When I Was Cooking Pot Roast - It Was Good! Let me start off by stating that I am a good cook, but I don’t cook often. My kid’s crave my homemade lasagna, spaghetti, prime rib and apple pies. That about sums it up. My husband is a red meat eater and I can’t make anything besides prime rib to save my life. Imagine this, my grandfather was a cook, my mother is an awesome cook, and my brother is chef, but I am limited in my cooking abilities! Pot Roasts!! Imagine me, the woman who has cooked many disastrous oven and pot roast creations blogging for Canadian Beef. Well my friends, the story starts here. I took my blogging instructions very seriously. I had family here so I didn’t DARE test out my chosen recipe until they quietly departed back to the Gaspe Coast. My parent’s left the house at 5 AM and I made my way to the grocery store to select a piece of beef. I thought to myself “Wait a minute, this is inside round. Is this a pot roast?” Generally I think inside, outside what’s the difference? It was only then did I question whether this piece of beef was pot or oven. Well I guess not. There wasn’t a Pot Roast to be found at Zehrs…off I went to Sobeys. Ah-ha, I found one! Fun Fact: Did you know that over 65% of individuals doesn’t know the difference between a Pot or Over Roast? I didn’t feel quite so ignorant. 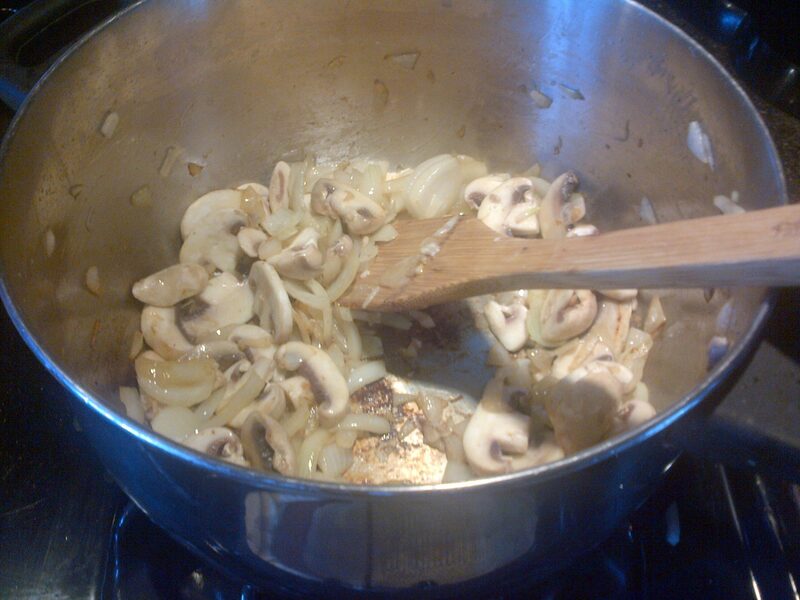 I selected the recipe Marvellous Mushroom Pot Roast from the Canadian Beef Website. It was actually quite easy besides the fact that I needed a nap and 2 hours of simmering was simply going to cut into my nap time. I braised the beef, onions, garlic, and fresh mushrooms and quietly snuck it all into the slow cooker that my husband hates. I had my little snooze and went to do a few errands (Coffee Time!) Upon my return, I put the pot roast back in the pot and hid the evidence. This is where I normally become a cooking failure. I’m always experimenting. I added green beans and mini potatoes to the mixture and let it simmer for a good hour. I worried that the potatoes would turn into mush but thankfully they didn’t! I served my pot roast supper and voila, my family loved it. 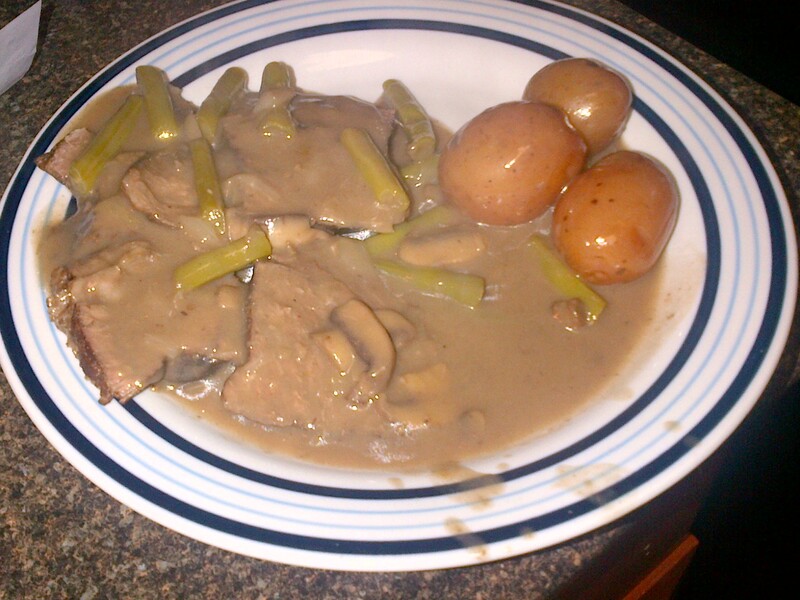 It was moist like a pot roast should be and the flavours from the veggies gave the gravy a little BAM! It feels like yesterday that my brother was discussing presentation with me when I flopped a piece of pie on the plate on it’s side……..yes, I don’t present very well either but that’s just me! It received the seal of approval from my family and that’s all that matters! There is a great contest at www.beefinfo.org when you join the MIB Club (free e-newsletter) you will be entered to WIN a super cool talking remote thermometer! (valued at $120). I have a meat thermometer……we’l just leave it at that. I need one that talks for sure. So now that I’m a master beef cooker, how about sharing your fave pot roast recipes with me in the comments below. NOTE: There’s no guarantee that I’ll present it any better than this one but I’m sure it’ll be great. Next Next post: Royal Nurse Found Dead At Home. Are Radio Pranks a Dangerous Game To Play?